Lord Shaftesbury will be making a stop in Atlanta on November 12th to discuss his mission to restore and rebuild St. Giles House, which has been his family's home since his ancestor, The 1st Earl of Shaftesbury, built it in 1650. This magnificent estate has been through many changes over the past 300 plus years, with a major "modernization" that took place in the 18th century and that would be followed by another one in the Victorian era. 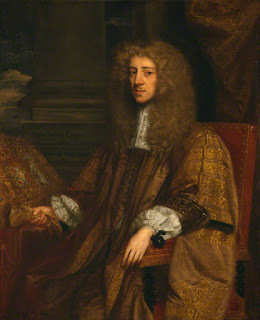 Anthony Ashley-Cooper, 1st Earl of Shaftesbury c.1672-73. 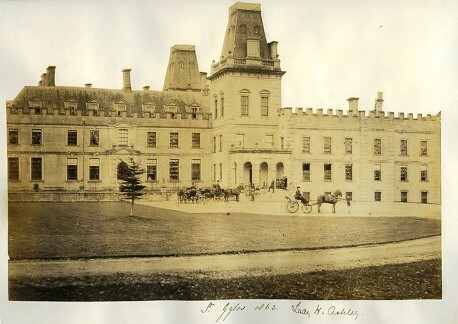 St. Giles House in 1862 with the addition of the Victorian Tower. Nicholas Ashley-Cooper, 12th Earl of Shaftesbury and current owner of St. Giles House. Over the years this estate was the host to Princes and Princesses, grand hunts and cricket tournaments. The splendor of St. Giles soon gave way to the start of World War I, when most of the house staff left to fight in the war and a portion of the house became a hospital to treat the wounded. Like many English country houses, St. Giles fell into disrepair after the end of World War II. 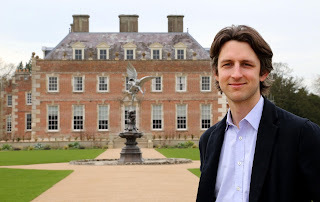 Since then, there have been several attempts to revitalize the house and it's surrounding park, with the most recent by the current Earl of Shaftesbury being successful. In 2014 his restoration project on St. Giles won the Georgian Group Award for the Restoration of a Georgian Country House. Please join us on November 12th at 6:30 PM inside the presentation room at ADAC for Nicholas' lecture.